Xiaomi and MIUI are now widely used by the huge number of Android users or custom skin lovers. Reviewers, developers, and Custom ROM users always prefer MIUI running devices after OxygenOS. It’s only because of its customizations, fast/fluid system, latest features, and stability like a stock Android version. But recently, Xiaomi devices running on MIUI 10 especially, are offering so many ads in everywhere. Each and every Xiaomi or Mi-related apps, system UI, App Vaults, etc are displaying so many frequent ads which are annoying for every user. 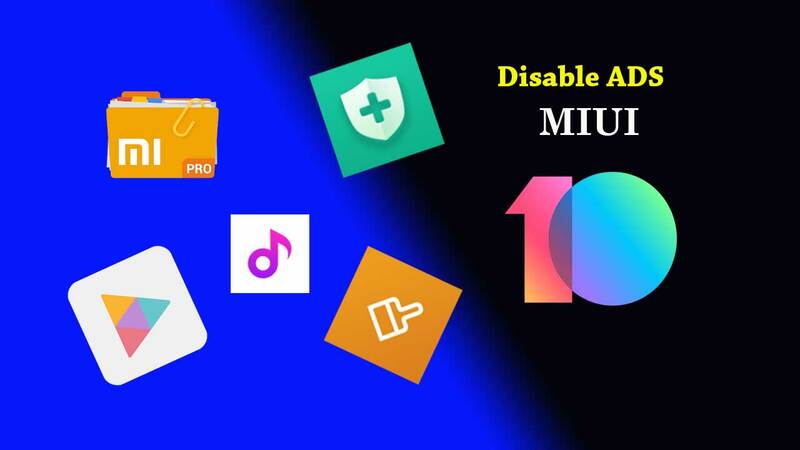 Here is the guide mentioned on How to Disable Ads from Xiaomi Phones [Step-by-Step Guide]. Connect your Xiaomi phone to the internet connection. That’s mandatory. Go to Settings > Additional Settings > Authorization & revocation > and turn off msa. Now, wait for 10 seconds at least and then tap on Revoke. You’ll see an error message of Couldn’t Revoke Authorization. You’ll see this error at least for 5-6 times. Don’t worry about it and keep trying until successful. Finally, go to Settings > Additional Settings > Privacy > Ad services Personalized ad recommendations > and turn it Off. Open Mi File Manager app. Tap the menu icon on the top-left corner > tap on About > tap on Recommendations and switch it Off. Tap the cleaner (brush) icon on the top-right corner > tap on the gear icon. Now, tap on Receive recommendations option to turn it Off. Go to the Account section. Tap on Settings > set Online recommendations to off. Set Push notifications off as well. Go to Settings > System app settings > Security > Receive recommendations – set it off. Now, go to Settings > System app settings > Music > Receive recommendations – set this off. Go to Settings > System app settings > Browser > Privacy & security > Recommended for you > set it off. In order to remove ads from Mi Browser, go to Settings > System app settings > Browser > Advanced > Set start page > and change it to a custom URL Start page. [Example – www(dot)google(dot)com or whatever you want]. This will disable the Xioami Mi’s default start page that features so many unnecessary and spammy promotional content. Go to Settings > Notifications > App notifications. Now, you need to disable ads individually from each and every app which are causing unintentional ads. Before doing this step, you should follow which apps are troubling you so much. Because generally most of the third-party applications offer notifications. It’s up to you.